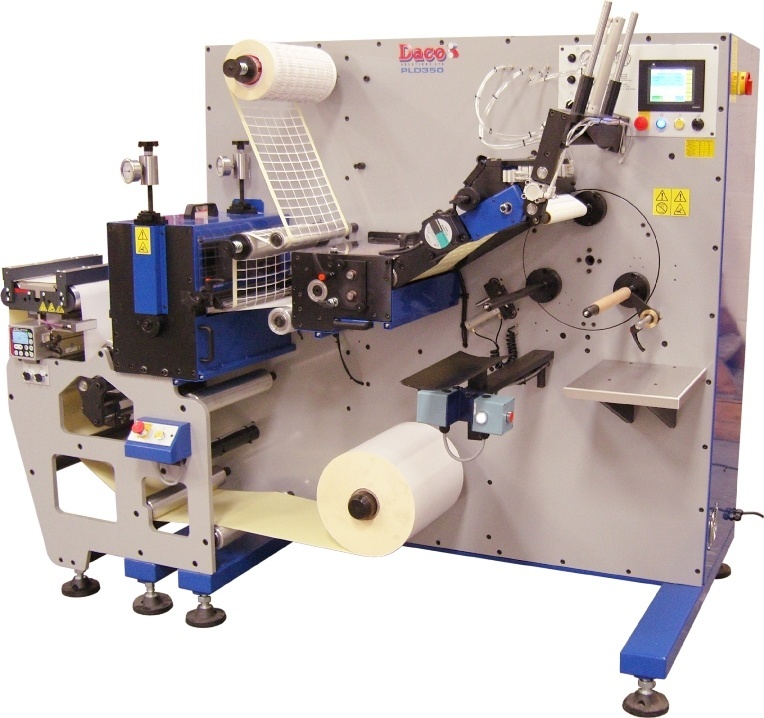 Turret rewinder machinery for the fast efficient rewinding of self adhesive labels. The range includes fully automatic with label closure and 3 spindle semi-automatic machines. All the turret rewinders are capable of running in-line with the Daco Solutions range of plain label die cutting lines. 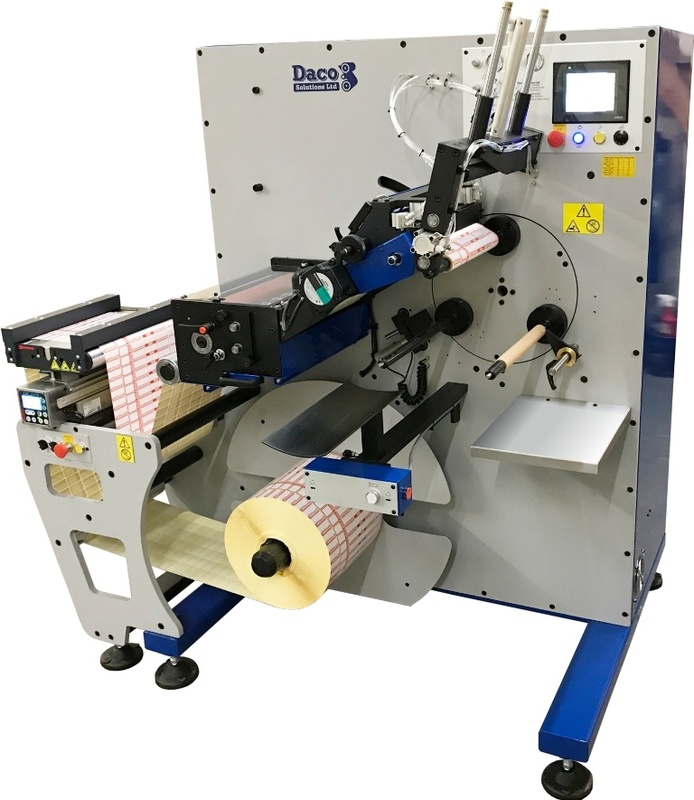 The Daco PLR is a semi-automatic turret rewinder and with the addition of a rotary die station the PLD is an ideal solution to plain label production. 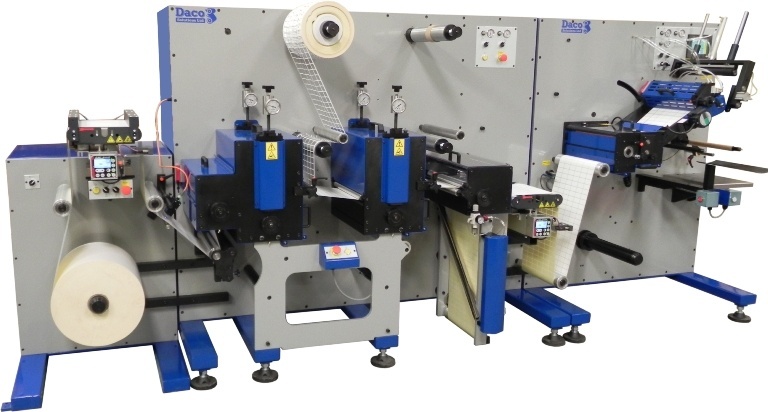 The Daco SVT adds further automation adding non-stop capability to the rewinding process. 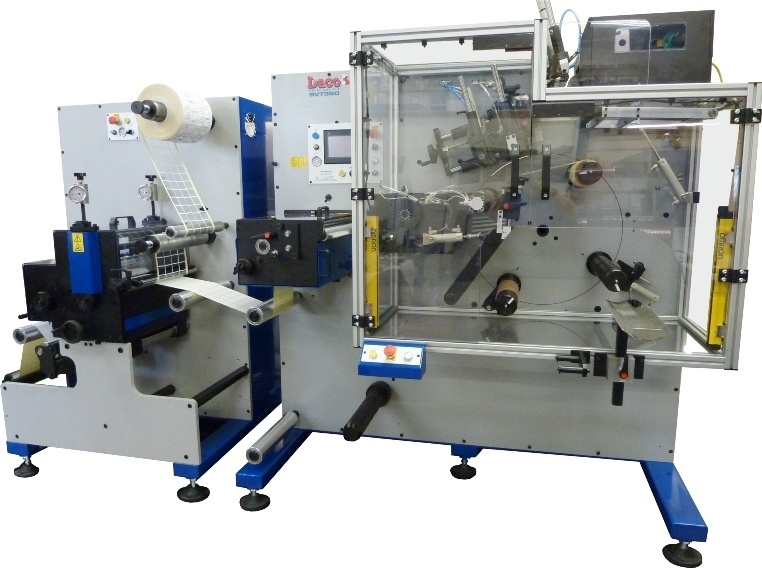 PLR Semi automatic turret rewinder for the fast efficient rewinding of self adhesive labels with a web width of 250mm (10″), 350mm (13.75″) and 430mm (17"). PLD Semi automatic turret rewinder available with a one or two rotary die cutting stations, web widths of 250mm (10″), 350mm (13.75″) or 430mm (17") and offers the user the benefits of turret rewinding for short run work. PLD 350M Semi automatic turret rewinder available with a two servo driven rotary die cutting stations, web width 350mm (13.75″) and offers the user the benefits of turret rewinding for short run work. The Daco SVT series servo driven offline turret rewinder is a very flexible converting machine. The 4 spindle turret offers quick change over times, which coupled with a touch screen HMI operator interface makes the machine both interactive and user friendly.